Nike have Tiger and Rory, Oakley have Bubba and Zach, Hugo Boss have Martin Kaymer and even Adidas Ashworth have Justin Rose; leaving Puma Golf as one of the only major brands who do not currently have a major winner on their books. However, that could all change in the very near future as the likes of Jonas Blixt and Graham DeLaet are beginning to bolster their major winning potential which, in turn, also eases the pressure on Rickie Fowler who had been relied upon for so long by this German powerhouse of a golf brand. 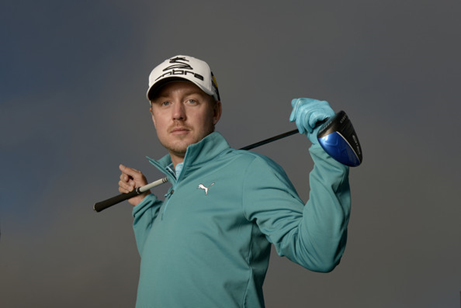 Jonas Blixt has been part of Puma Golf for three years now and having signed a long-term contract extension in 2013, he looks set to remain with the brand which he fits in so perfectly with. A bit more elaborate, a bit more eccentric, a bit more fun – the Puma Golf brand know how to set themselves apart from the crowd and Blixt is now an integral part of the brand’s repertoire. Two professional tour victories and some stellar performances on the big stage (4th at the US PGA Championship 2013, T2 at the US Masters 2014) certainly add weight to the argument that Jonas Blixt has the game, the nerve and the composure for the biggest occasions. Even at the European Tour’s flagship event last week, Jonas was always somewhere around the top of the BMW PGA Championship leaderboard. It would also appear that he loves coming back to Europe to play with a T26 finish at The Open in 2013 followed by a 2nd place at the Nordea Masters in Sweden, too. Jonas has also been confirmed for the 2014 Scottish Open at Royal Aberdeen, which is due to be played just a week before the Open Championship at Royal Liverpool, and it would be difficult not to consider Jonas for a top five finish at either of these events in the UK this Summer. 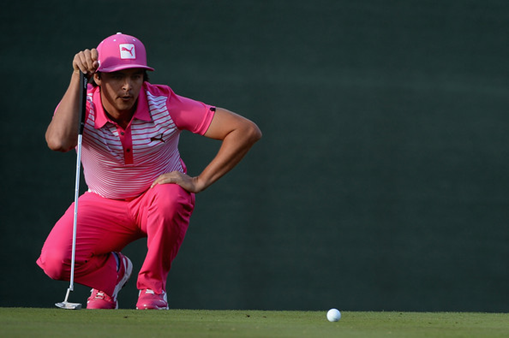 Equally so, not many will be able to discount Rickie Fowler from the running at the 143rd Open Championship, either. Managing T10, T19 and T5 finishes in three of his last four majors – Rickie Fowler is another who loves the big stage and will relish the opportunities provided by the Hoylake links course. The only blemish on Fowler’s Open record was at Muirfield last year; T14, T5 and T31 finishes in his other three appearances confirm that his daring and creative game is perfectly suited to links golf. It has also been well documented that Rickie has been working closely with Butch Harmon this season and with some slight inconsistency still apparent; it is only a matter of time before it all comes together and culminates in a major victory. 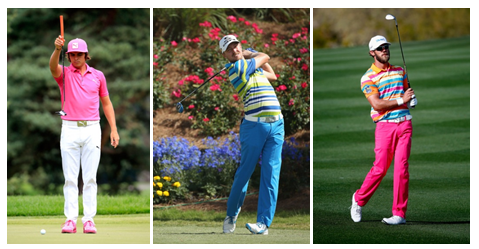 For the latest tournament golf scripts and Puma golf style guides visit Golfposer. 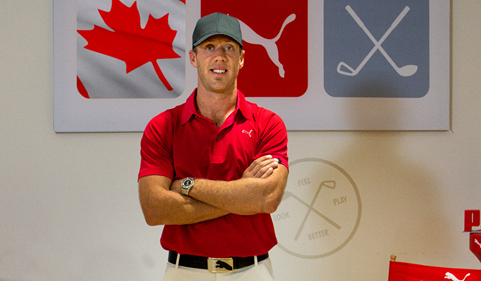 Graham DeLaet is another strong prospect for a major championship title. Having signed with the brand in January of this year, the Canadian has not necessarily shown great form in his only two major starts but several second place finishes on the PGA Tour would seriously suggest he is a player out of the top drawer. Even if he doesn’t quite manage to contend at the four majors, he is incredibly marketable and wears the Puma Golf brand superbly well – both of which will further reduce the pressure and retract some of the attention away from Rickie Fowler on the major stage. The US Open at Pinehurst is the next major on the 2014 calendar with the Open at Royal Liverpool soon after; it will be very interesting to see whether a Puma Golf athlete can finally fulfil their major winning potential.